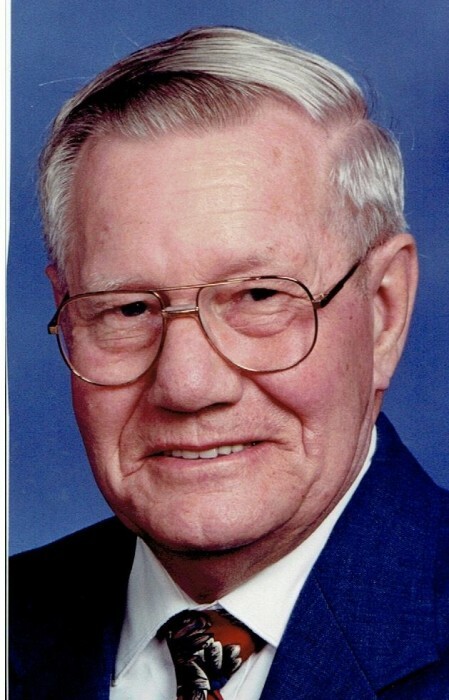 Kenneth D. Baker, 87, of Milan, died Thursday, April 11, 2019 at his home. Cremation rites accorded. A memorial service will be 1:30 pm Tuesday, April 16, 2019 at Wheelan-Pressly Funeral Home and Crematory, Milan. Visitation will be from 12:30 pm until service time Tuesday at the funeral home. Inurnment will be at Memorial Park Cemetery, Rock Island. Memorials in care of the Alzheimer’s Association. Kenneth was born on May 17, 1931 in Greencastle, Mo., a son of Herman C. and Cecile M. Daniel Baker. He married Bernice Webster on March 3, 1951 in Missouri. She preceded him in death on November 1, 2012. Kenneth worked several jobs over the years that included the Rock Island Arsenal, Dohrn Transfer and Servus Rubber. He enjoyed woodworking, gardening and spending time with his grandchildren. Those left to cherish his memory include his children (and spouses), Michael (Joy) Baker, Vero Beach, Fla., Rick (Angela) Baker, Moline, Linda (Mike) Mumm, Milan and Tammy (Dan) Hauf, Goldsboro, NC; 13 grandchildren; many great and great-great grandchildren; siblings, Dwight (Helen) Baker, Co., Gary (Belinda) Baker, Ind., Doris (Mike) Chenowith, Ala., Ramah Steinenger, Penn. and Rosalie (Don) Lopez, Ark. ; and sisters-in-law, Mary Baker and Donna (Jim) Nelson. He was preceded in death by his parents, wife, granddaughter, Amanda Baker, brother, Gerald Baker and infant brother, Edward Baker.